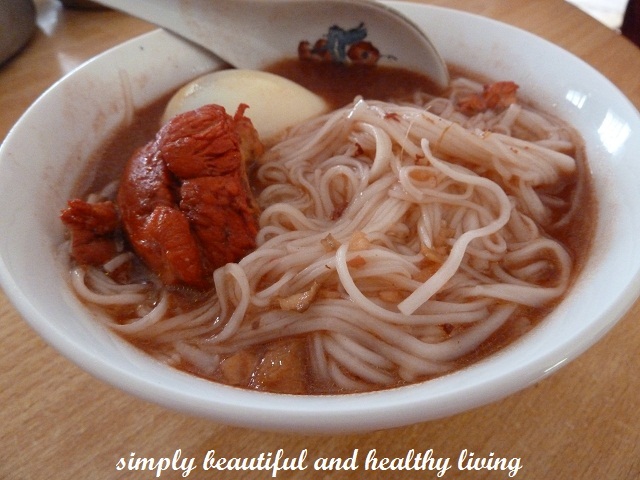 Sitiawan is also popular for its Ang Jiu Mee Suah (Red glutinous wine soup with longevity noodles). Red glutinous wine is mostly homemade and most of the residents in Sitiawan know how to made ang jiu. Whenever we cook this dish, we usually use the local mee suah too. As for me, I am used to Sitiawan mee suah. So, whenever I go back to my hometown, I am bound to stock a few packets of Sitiawan mee suah. Snake Gourd (or) Pudalankai (Tamil) is an excellent vegetable that can be used for an instant curry. My girls like baked beans very much. 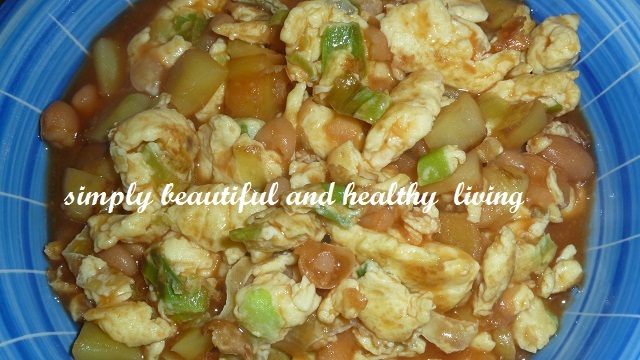 Sometimes I would just cook it with scrambled eggs and we would have it with rice or bread for breakfast. 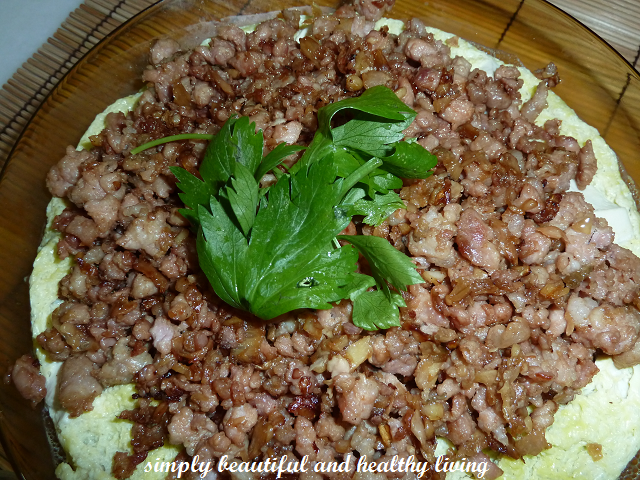 For this recipe, I have added chinese leeks to the scrambled eggs and potatoes too. Do give this a try and let me know whether you and your loved ones like it or not. 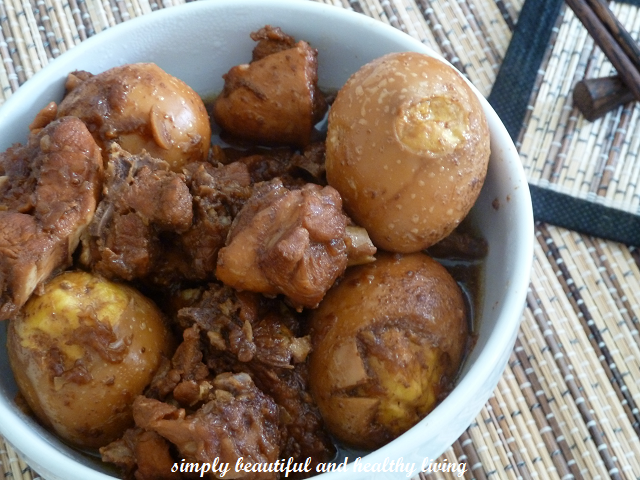 The first time when I saw Phong Hong’s post on Kay Hong (Terengganu Braised Chicken) at Terengganu Food Fest 2012 , I told myself I must try this dish. Too bad, I only tried last week and unfortunately without the pork belly as I have forgotten that day happened to be ‘No Pork’ day at the wet market. So, I just made do with just the chicken. On the other hand, I think this dish is also suitable for those who don’t take pork. My nieces and my children like this dish very much during our Mid-autumn family gathering. It is easy to prepare. This year as my mum is in KL, we decided to have a small family gathering at my place to celebrate the Mooncake Festival or Mid-Autumn Festival. 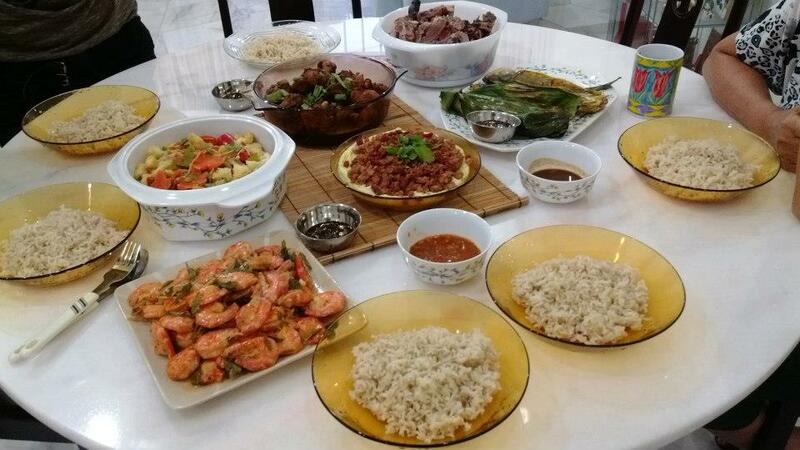 These are the simple and easy dishes I cooked for the dinner. Mushrooms have a surprisingly high nutritional value. 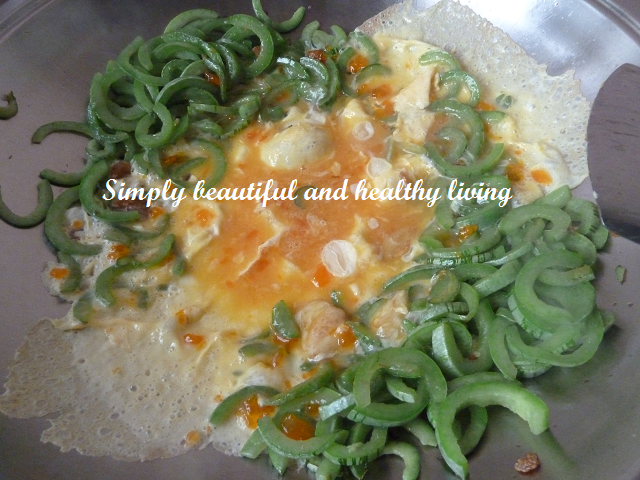 They are low in calories, cholesterol-free, fat-free, high in protein and fiber and low in sodium. Besides, they are also high in nutrients such as selenium, potassium, riboflavin, niacin, vitamin D and more. With more than 14,000 kinds of mushrooms in existence, only 3,000 of those are edible and about 1,400 are actually recognized as poisonous. Mushrooms are not only nutritious, they are delicious too! That’s the reason we love mushrooms; any type of mushrooms and I can cook it anyway I like! Here’s a dish of Swiss Brown Mushrooms with Chinese Leeks and Eggs.